Want one idea that will have a huge impact on your business this year? 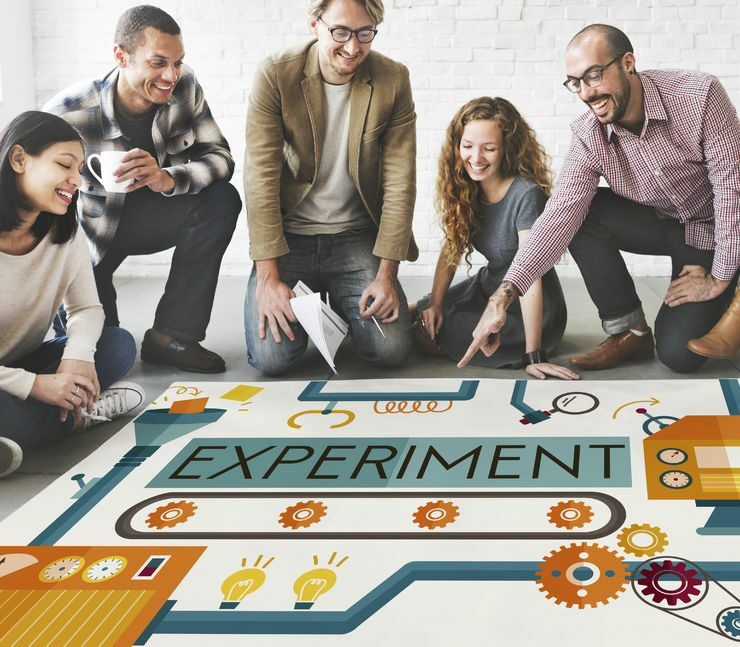 Start building your organizational culture around experimentation and iteration. Measure success by customer outcomes achieved through each cycle. This is what customer-centered businesses do. They iterate through cycles of discovery, creation and validation. They’re constantly looking for ways to connect with their customers and get in their heads. They avoid spending time and money building solutions that haven’t been validated. Instead they test each new idea, feature, and improvement. Their creations are designed to solve problems, not to be “cool”. Twenty-five years ago, it was simple to deliver new innovative solutions to customers. Consumers were a captive audience. They could only select solutions available in their local economy. “If we build it they will come” was the motto of innovation teams, and the biggest challenge was marketing their solution. Development was a sequential affair, created in the industrial age where organizational culture and process were designed around the assembly line. Success of these innovation efforts was measured on output – did we get enough units on the market at the right time? The digital age heralded a new environment for innovation. The market is global, providing customers with a plethora of choices. The digital customer is loyal only to solutions that meet their needs exactly. As new technology becomes available, those customer needs change quickly. What hasn’t changed is the design of the business organization. It’s still focused on sequential creation of outputs instead of the outcomes customers expect. Businesses are missing the opportunity to optimally meet client needs because of this mismatch between the design of organizational processes and the customer’s expectations for innovation. For example, let’s say a small retail business has a linear customer experience. They envision their customer interactions as following a constant, deliberate path: the customer learns about the retail shop through advertisement, visits the store and purchases something, then goes home and uses their purchase. The envisioned journey is awareness, followed by purchase, followed by use. Every purchase follows a similar path and each interaction is simply a transaction. If the customer wants a different size or color, employees tell them to return next week when perhaps there will be more in stock. The employee isn’t vested in that customer because they’re not going to buy now. And the customer isn’t vested in buying from that store because they can buy from the store down the street. If, instead, the retailer designs the customer journey for the digital age, they’ll build experience touchpoints that could be visited in a variety of sequences depending on customer need. For example, the customer could get to know the retailer through their online storefront or through the first visit. They could sign up to be notified of new products, which would help them discover different colors and sizes. The notification could allow them to place an item on hold to be picked up at the store, and could suggest accessories to explore when they got to the store. Store employees could help deliver this experience by using their online inventory system to see when other items were available. Employees could place a product on hold, notifying the customer of this new recommended item based on preferences they observed while the customer was shopping. What was previously just a transaction now moves into a relationship, and success is measured by that outcome rather than the output of a single sale. Both Agile and Lean provide blueprints for organizational culture designed to innovate. With Agile, the outcome is focused on the goal, which in the small retailer example is to establish a relationship. Beyond the goal, employees are given the freedom to define how the result is achieved. This empowers the employee to own the customer relationship which increases employee engagement. It also allows management to focus on a strategy of enabling goals, rather than micro managing execution. Then if each customer interaction is measured based on engagement, Lean provides a way to cut out waste – e.g. time wasted by the employee and customer looking for the right size and color – and is the basis for iterative improvement. The good news is that designing your culture around experimentation and iteration can begin tomorrow, using an iterative approach. Start by setting a goal for your customer outcome. What do you want your customer to achieve through their engagement with your business that you can measure? Use today’s measurement as a baseline, even if you’re starting at zero (as it was for our example retailer with no established customer relationships). Each day or week try something to change that outcome based on customer feedback. Ta Da! Your continuous improvement process is in place. The more you involve your employees, the greater strides you’ll make toward improving the customer outcome. And they will love throwing in their creative ideas for improvement! Need help with your iterate/innovate process? Feel free to contact me. For more innovation tips subscribe to our blog newsletter, sent directly to your inbox.